Chef Nora Pouillon on Her "Organic Life"
While organic foods are perceived to cost more than standard, non-organic foods, Chef Nora suggests that this should not hold parents back from introducing better quality products into their family diets. To combat potential price differences, she has a few key tips. Conductor, Producer & Musicologist in Washington, DC. 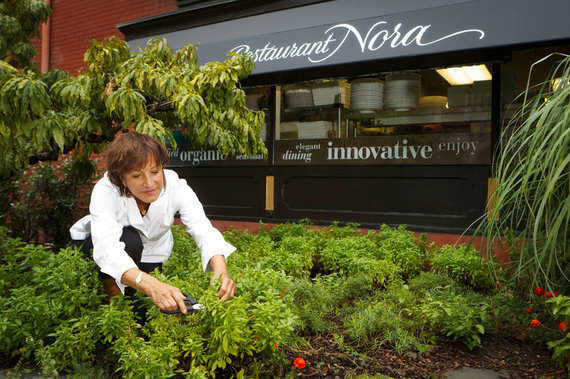 Beyond being a legend on the DC food scene, Chef Nora Pouillon has established herself as a trendsetter in the farm-to-table movement since founding her signature-dining establishment, Restaurant Nora, in 1979. 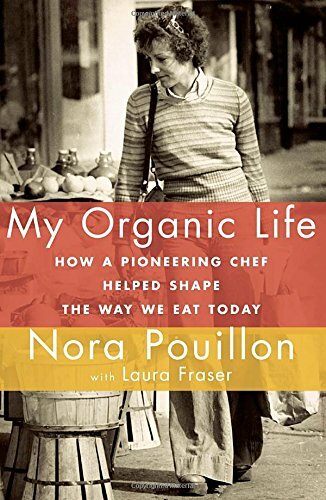 Chef Nora's recently released memoir (co-authored with Laura Fraser), My Organic Life: How a Pioneering Chef Helped Shape the Way We Eat Today (Knopf, 2015), chronicles her journey of discovery from her native Austria to the United States. In her new country, Chef Nora was shocked by the amount of processed and unhealthy foods that have been staples in Americans' diets for generations. Turning this shock into drive, Chef Nora helped launch a movement that seeks to better integrate and normalize organic and healthful foods within American culture. During a recent interview at the Library of Congress National Book Festival, Chef Nora proudly proclaimed that the farm-to-table movement is "a movement that will stay." She attributes its longevity to the gradual expansion of mega farms, family or mid-sized farms, and the explosion of the farmer's market culture across the United States. These newer food sources, which hearken back to the age before processed foods, provide an influx of "tastier, fresher, [and] healthier" foods into the marketplace, according to Chef Nora, and they are also free of chemicals and pesticides. Gradually, high nutritional value organic foods are replacing processed foods that might be greater in abundance but contain empty calories. Quality should ultimately trump quantity when it comes to food selection. To Chef Nora, the farm-to-table and organic food movements are a "...very emotional and spiritual thing..." She sees First Lady Michelle Obama as a kindred spirit, hailing her healthy food initiatives (including Let's Move!) for kids as an important step in shifting culture. A handful of communities have nurtured the farm-to-table movement beyond the work of any single chef. According to Chef Nora, California is a leader with agriculture production, New York with diversified foods, and Chicago with urban farms. In a more complex urban environment market like Detroit, Chef Nora believes that any type of grassroots farm-to-table initiative has a huge potential for positive impact upon broader transitional communities. While organic foods are perceived to cost more than standard, non-organic foods, Chef Nora suggests that this should not hold parents back from introducing better quality products into their family diets, regardless of their socio-economic status. Many organic foods are reasonably priced when in abundance during peak harvest times. Reduce processed foods in the diet by increasing amounts of high-end proteins, like eggs. Incorporate more legumes and grains. While organic foods can demand higher prices, the potential health benefits will reduce healthcare costs. Repurposing staple items like grains--from curries to Mediterranean dishes, for example--can save on preparation time and costs. 5. "Protein as a flavoring"
Citing Asian cooking traditions, Chef Nora believes that proteins can be reduced in many American diets if used to accent meals, rather than being placed at the center of the diet. Chef Nora intends for her memoir to serve as an inspiration to other chefs -- especially those that are new in their careers and may not have exposure to organic cooking through traditional culinary training. She hopes that anyone reading her story will think, "If she can do it, so can I."